Have you heard Yelawolf’s new Shady Records album yet? You haven’t? What are you waiting for? Michael is doing magic! One of the tracks we want to point out, and no, we’re not talking about the collab with MGK. 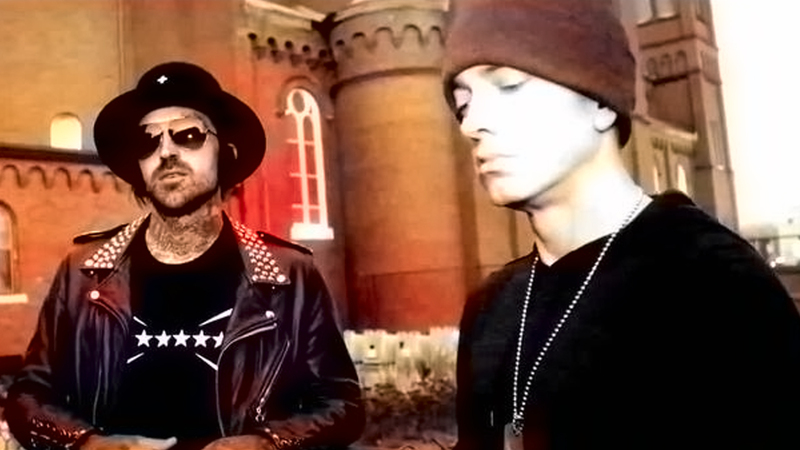 It’s a track called “Drugs”, where Yelawolf shouts out Eminem. We guess you know by now that “Trunk Muzik 3” is the artist’s last album on Eminem’s label? So its no wonder MWA wants to pay his respects. Here’s the quote from Yelawolf’s track: “You and me? Best Friends ’til the end, amen. Ride around in the box, Guilty Conscience, Eminem.” Obviously, this is a reference to “Best Friend” and “Guilty Conscience”.